Mr Brown J at the Bicycling Trade photo shoot for an upcoming company feature article on Brown Jersey. Both Brown Jersey bikes featured in the above photos have been customised. The Divvy Van (top left and middle right) has been customised with BJ High Rouleur (Red) Wheelset, BJ Cork Series Bar Tape (Gunmetal Grey) and BJ Scaracen Crankset (Red). 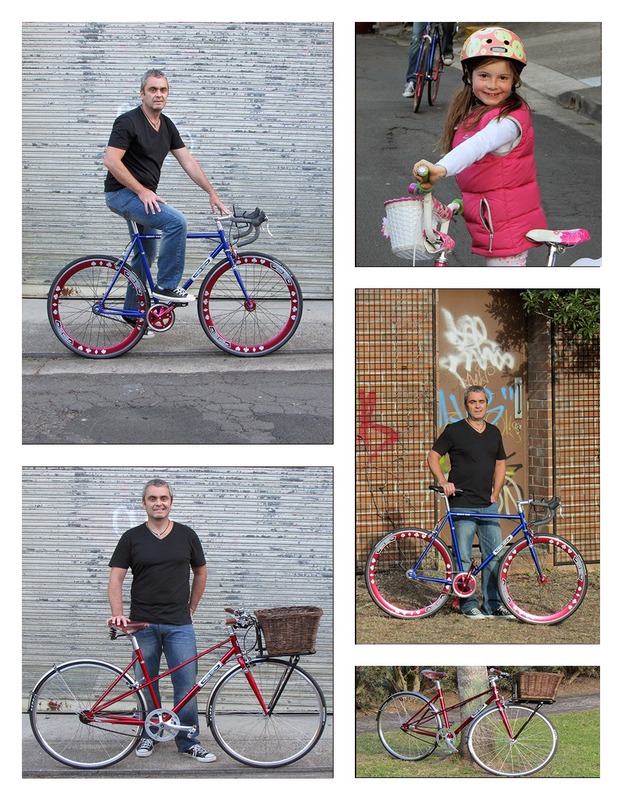 The Milan Mixte - Red (bottom left and bottom right) has been customised with fenders, BROOKS Saddle, BROOKS Grips, BASIL Basket and BASIL Front Carrier (Black). And Grace (top right) enjoyed photo bombing Mr BrownJ's shots!